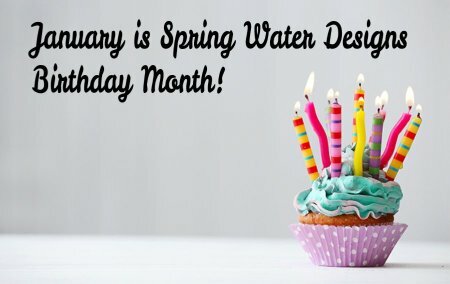 Spring Water Designs: Happy 2019 & Happy Birthday SWD! Happy 2019 & Happy Birthday SWD! We're open tomorrow (Monday, December 31st) at 10:00 a.m. - but will close early at 3:00 p.m. so our staff can celebrate and ring in the New Year! We're Closed on Tuesday, January 1st and will re-open regular shop hours on Wednesday, January 2nd at 10:00 a.m.
January has always been a special month for SWD. 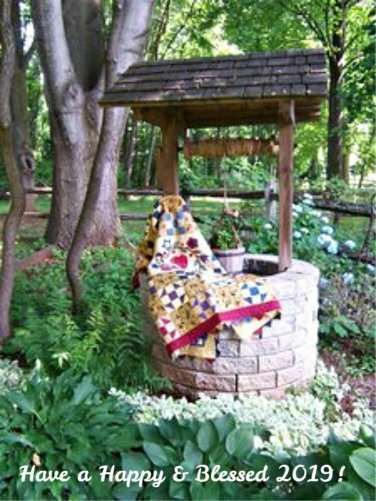 In January 2009 Spring Water Designs was born with a blog, Etsy Shop, and our first pattern publication of Rootin Tootin Cowboy Quilt in Quilt Magazine...so we are actually 10 years old! ...Can you believe it! 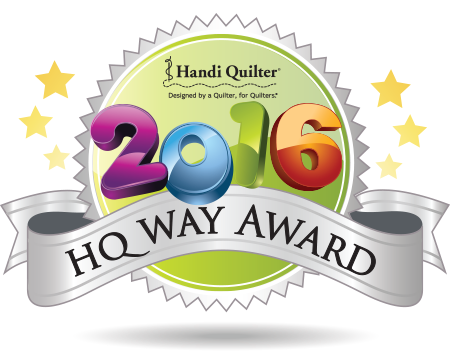 Time was spent over the next few years with over 60 quilt magazine and fabric company publications that kept us busy ~ and even one little quilt made it to TV showing up on the Fons & Porter's Television show :) You can read about many of these over on our Blog. ...Whew, just looking back at all that makes me a little tired ~ But it's been a fun ride so far! 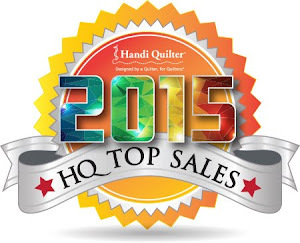 We're heading into 2019 with grateful hearts, and the blessings of so many friends that we've made in the quilting world, and goals to continue to move forward into our next ten years! 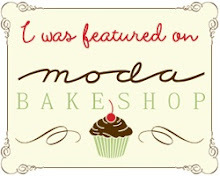 With that in mind...We're having a whole month of Birthday Sales! 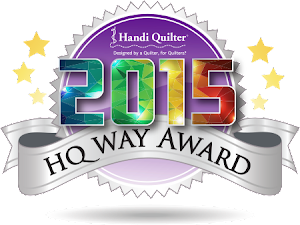 And join us on Saturday afternoon, January 5th for Free Demos on how to use the AccuQuilt GO! Cutters. 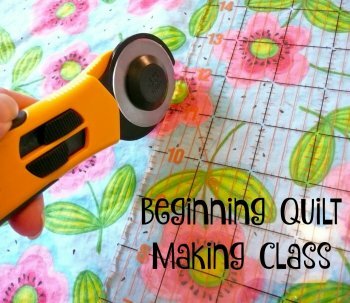 Learn about the cutters and their features, and how to quickly and accurately cut fabric to save you time and money! Demos are Free of charge and will be on-going between the hours of 1:30 - 4:00 p.m.
Keep an eye out each week for different sales and Birthday Fun throughout the month! 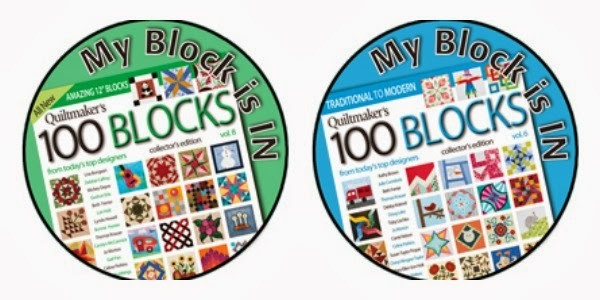 A new session of Beginning Quilt Piecing starts on Tuesdays beginning with January 22nd at 1:00 p.m.
Join Heather Kojan on Saturday, January 19th between 10:30 a.m. - 1:30 p.m. and find out all the details about the upcoming Chase the Sun Quilting Cruise being sponsored by Spring Water Designs! The Cruise dates are January 10 - 19, 2020 ~ Nine nights to the Southern Caribbean! ...In January! Click Here for more information about the cruise and to download a flyer! 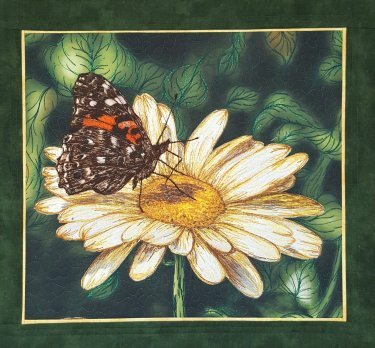 Then we have an amazing opportunity for a Thread Painting Workshop with Joyce Hughes on Friday, January 25th from 10:00 a.m. - 4:00. Register right away to save your seat in this amazing class! 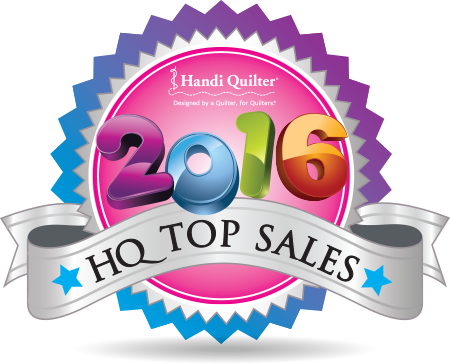 Then save the date for Support Your Local Quilt Shop Day on Saturday, January 26th where we'll continue our month of Birthday Sales plus we'll hold Free Demos throughout the day! Watch upcoming emails this month and our website for information on all the happenings throughout the month!